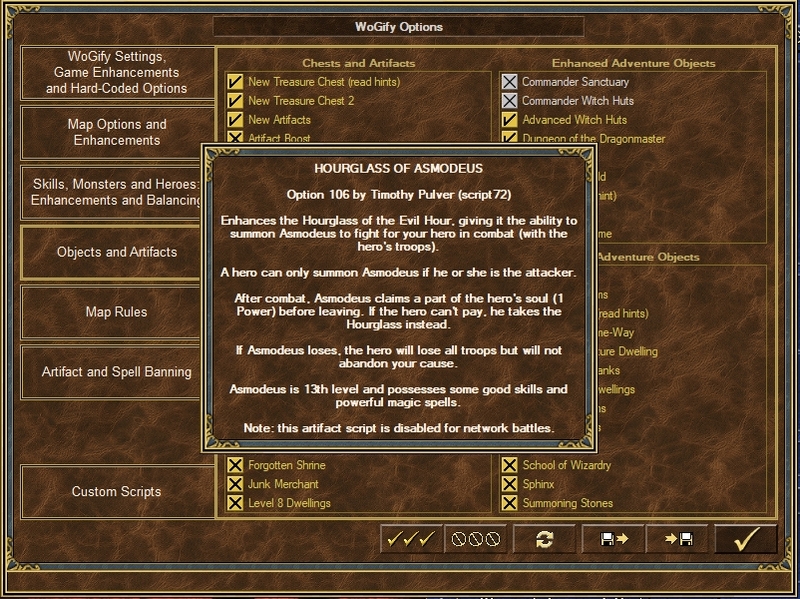 This script adds a new ability to the Hourglass of the Evil Hour artifact. Any hero who has this artifact equipped prior to a battle in which he or she is the *Attacker* will be given the opportunity to summon the Demon Lord Asmodeus to fight the battle instead. 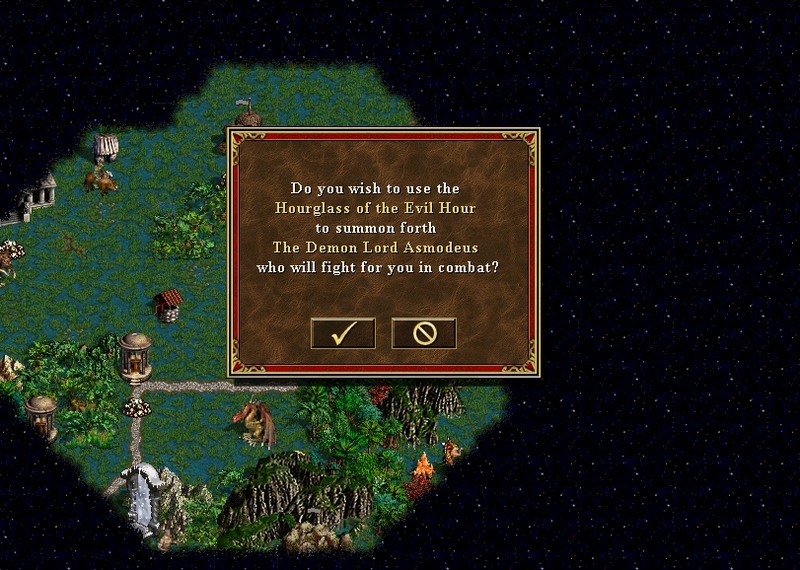 If the player is the defender in a combat, no option to summon Asmodeus will be given. 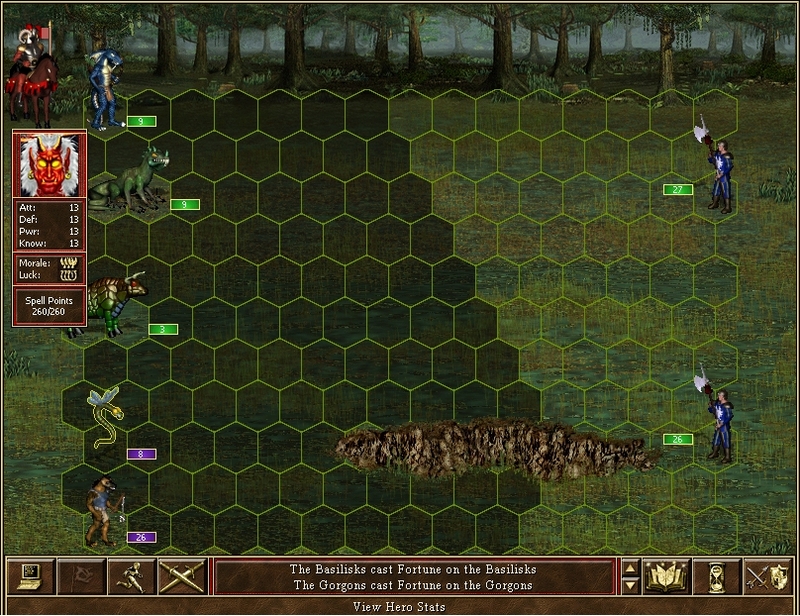 Asmodeus fights the battle (under the player’s control) but with the hero’s troops. He possesses good primary abilities (starting at 13) and knows useful secondary skills like Expert Wisdom, Expert Sorcery and Expert Fire Magic. He has several powerful fire spells at his disposal. 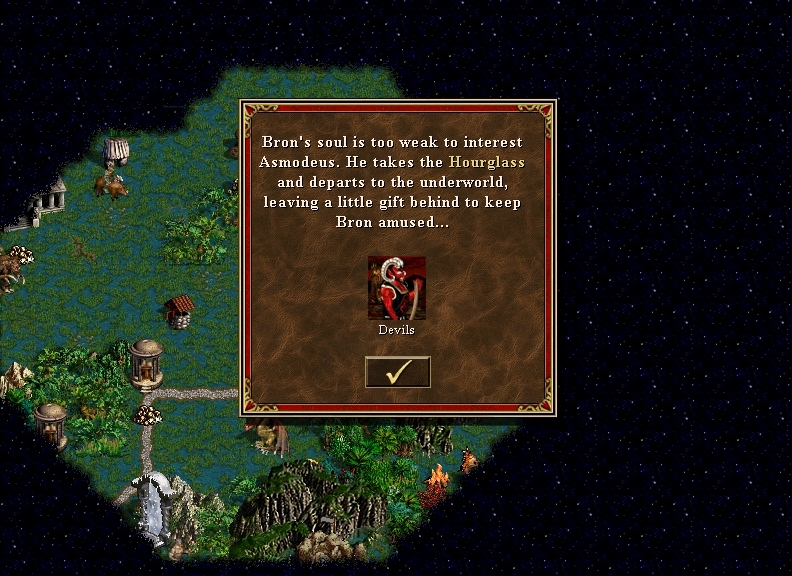 If Asmodeus loses the battle, the hero is *not* lost, but will remain on the map with 3 lowly imps (a gift from Asmodeus). 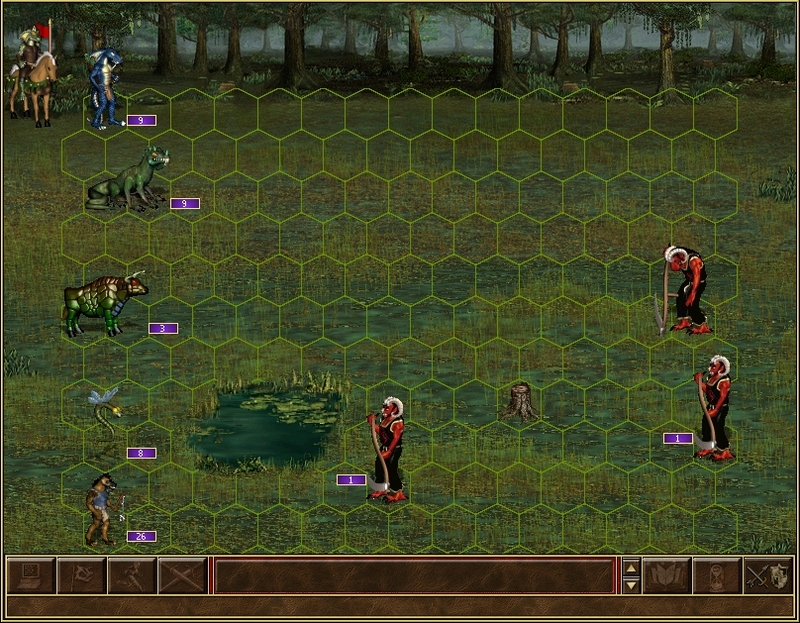 If Asmodeus *flees* the battle, the summoning hero will keep the remaining army. 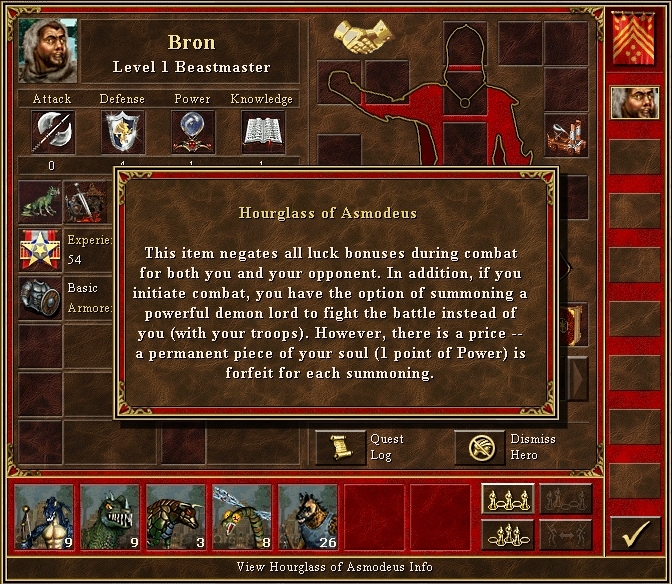 If Asmodeus wins the battle, the hero will not gain experience and will not get the artifacts of the hero beaten (Asmodeus may claim these instead). 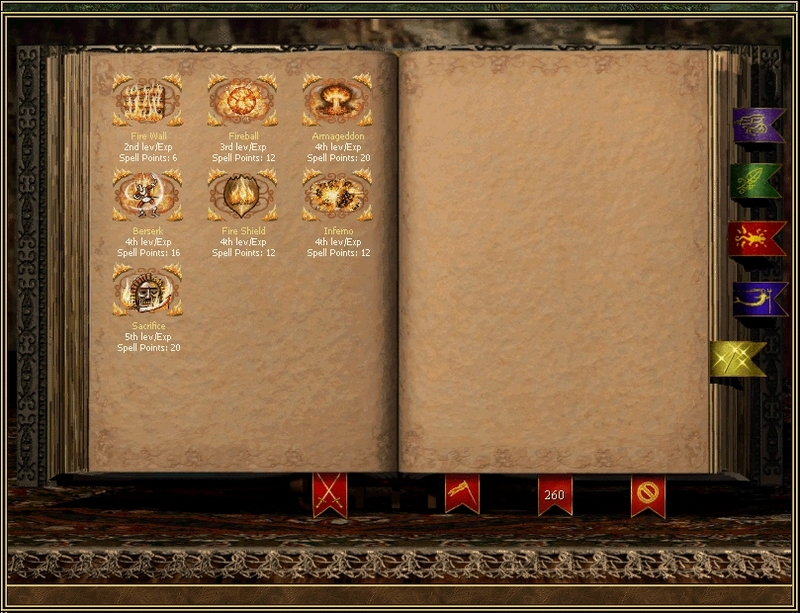 Asmodeus‘ primary abilities will ALL increase by 1 for each combat won. After the battle, Asmodeus takes part of the hero’s soul as payment. This results in the hero losing 1 point of Power permanently. However, if the hero is down to only 1 Power, Asmodeus steals the Hourglass and sends three devils to attack the hero soul instead. Tal I., Luciano F., Negreanu C., Martin L., Dejan S., Morten B. L. Thank you! Lukas L., Radosław G., Miroslav S., Michal T., Luciano F., Mihkel S., Dalibor D., Miroslav S., Thomas H., Negreanu C., Lukáš V., Milan B., Bjørn L. Thank you! How to donate? 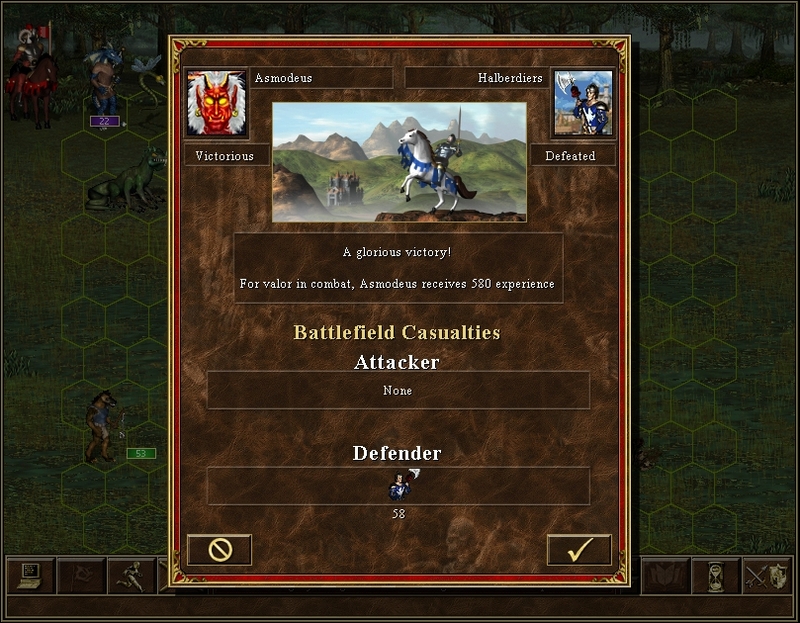 COPYRIGHT © 2012 – 2019 Heroes 3.5: Wake of Gods Portal by Liso – Horn of the Abyss, Heroes 3 HD, Succession Wars, Wake of Gods, VCMI download. Please support Heroes 3.5 Portal by adding us to your whitelist in your ad blocker. Ads are what helps us bring you Heroes news and mods! Thank you!